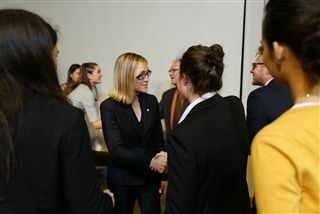 “Our government works to serve us, the people of this community, and we need to work to ensure these voices and opinions are represented to ensure that our democracy accurately reflects the will of the people,” senior Rebecca Shields told the packed room Tuesday night. Students in Mr. 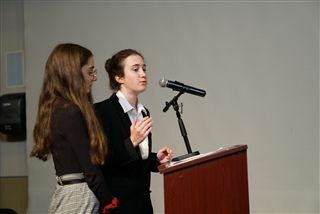 Silk's U.S. Government and Mr. Peeden's Theories of Social Change classes hosted a mayoral forum between current Mayor Matt Hall and Councilmember Cori Schumacher. Students asked the candidates what they considered the biggest issues facing Carlsbad, gun safety on school campuses, homelessness and more. Video of the event is available here.